I think there are some readers here who have a dharma connection with HH Sakya Trizin, so anyway, I’d post this long life prayer here for this unparallelled Lord Protector of all beings in this degenerated age. There is a longer prayer used by the Sakya centers, but here i post a condensed four-line prayer that is easy to memorise and recite. Wish-fulfilling, great king, please live long! Please recite as much as you can. You can recite it after your daily prayers, after long life mantras/sutra recitations, after life liberations, or in order to dedicate your merits from giving food, medicine, and being vegetarian, etc. Please pray hard that all enlightened masters who guide sentient beings and uphold the dharma like HH Sakya Trizin live long and are healthy, that their activities flourish and their aspirations and wishes are fulfilled perfectly. In general, the source of all happiness comes from performing virtue and stopping non-virtue. The main methods to accomplish this comes from listening, contemplating and meditating on the holy precious dharma. The exposition and practice of dharma in turn largely depends on the upholding of the dharma by the Lords of Dharma such as HH Sakya Trizin and other great masters. In other words, all the happiness in samsara and bliss in nirvana arises in dependence on the conditions of dharma continuing to exist in this world and since the main responsibilities for propagation of dharma lies on the shoulders of these great Buddhas and Bodhisattvas, we should always pray for their good health and fulfilment of their wishes. It is a most direct way of ensuring that happiness remains on earth and that the darkness of wrongdoings, negative karma and afflictive emotions arising from selfishness such as anger is eliminated by the light rays of wisdom and compassion. It is also of great benefit to each individual practitioner to pray in this way. This entry was posted on 11111111, in Practices and tagged four line, long life, prayer, sakya trizin, short. I found a commentary on the King of Aspiration Prayers, or Samantabhadra Prayer of Aspiration, otherwise known in Sanskrit or Tibetan as Arya Bhadra Charya Pranidhana Raja, or Phag Pa Zang Po Chod Pay Mon Lam Gyi Gyal Po. It is delightful to me to find such a treasure so i wanted to share with all readers of this blog. According to HH Jigme Phuntsok, this prayer is one of the best way to accumulate merits and make wishes for rebirth in Amitabha pureland. In his monastery, it is emphasized in one of the four major annual festivals where they arrange many offerings of flower, incense, lights, perfume, food offerings etc and recite this prayer. Many repetitions of this prayer are accumulated and the group merit is fantastic. His Holiness said that there was nothing in this world he was attached to, but if there were one thing he was attached to, it is to the infinite merits that is generated each year during this festival when this prayer was recited many times by thousands of monastics with pure offerings and pure motivation. Any practitioner can recite this prayer daily as a general dedication at night, or specially on special days like the 8th, 15th, 25th, 30th, lunar/solar eclipses, duchens, birthdays and anniversaries of yourself and great masters and so forth. It is also good recite this aspiration prayer at special holy places like Bodhgaya, in front of holy objects like relics, stupas, statues, thangkas, great masters, etc. Truly, this is a wish-fulfilling jewel. Many times i feel like this: we have so many precious practices in the dharma and ways to create infinite merits and purify obscurations but it is up to the individual to utilise it. If we do not, it is like having a blank cheque put in your hand by a king, and you fill it up with zero dollars. You do not use this precious chance at all. These prayers given by Buddha himself are of infinite value. Even though it can be found everywhere, but that does not detract from its value at all. Some people think that only rare things are valuable. They think that practices like mani mantra or this particular prayer are so common, so it must be quite ordinary. I beg to think otherwise. If we do not trust in the words of perfectly enlightened beings, then what is the value of our refuge mind or refuge vows? In many sutras, the value of these prayers and mantras have been well explained and they contain unimaginable benefit. All it takes now is for one to take them up as practices seriously so as to reap the benefit. Having doubts will not help one to progress. With deep faith, if one takes them up, over time, the benefit will become apparent. This has been my own experience. As soon as i get it ready, i’d post up a version of this prayer with English and Tibetan phonetics. There are many varying versions out there so i thought i will prepare one to the best of my ability and add it to the public domain for more variety of choice. This entry was posted on 11111111, in Practices and tagged amitabha, aspiration, commentary, king of prayers, pureland, samantabhadra. I am an admirer of the great Mipham Rinpoche. Below is his biography. Reading biographies of great masters, we can gather pith instructions from their lives and inspiration to go deeper into our practice. Also, there are many blessings we can receive just by reading about these masters in terms of invoking our sense of renunciation and wishing to follow in their footsteps. It is always recommended especially for those who want to increase their level of devotion and diligence to read the stories of past great masters. Faith in the past great masters and praying to them for blessings works even if they have passed into parinirvana. For instance, His Holiness Jigme Phuntsok attained full, unshakable realisation of the ultimate nature by reciting Mipham Rinpoche’s supplication prayer and a text written by Mipham Rinpoche on the nature of mind countless times, even though he has never met Mipham Rinpoche. Jigme Lingpa received three visions of Longchen Rabjam, although the latter was already not physically alive, through supplication to him with single-minded strong faith, receiving Longchenpa’s complete wisdom through that. After that the illiterate and unschooled Jigme Lingpa was able to compose unbelievable treatises like Yonten Dzod, a classic on the whole path right up to Dzogchen teachings. Many people have attested to receiving the blessings of Milarepa through praying to him such that meditative experience blazed up and obstacles in practice were removed. Milarepa had stated that in future anyone who hears his name will not even fall into the lower realms for seven lives. And through his practice, all those in his lineage in future will not have to go through as many difficulties as he did in order to gain great realisation. One can see that all one needs is the faith and sincere one-pointed prayer to the past masters, who have practised and gone through so much difficulties for sentient beings’ sake, to receive so much help on the path, clearing obstacles and even realising the true nature of reality. It is like a treasure in our hands, waiting to be used, if only one can generate the faith to pray. As it is stated in the “Aspiration Prayer to be Reborn in Sukhavati” by Chakme Rinpoche that with faith, distance of near and far does not matter. So with pure view and faith, praying to the past masters or even present masters whom you have not met, printing out their photos, supplicating it with sincere devotion, and calling upon them by name, I have truly heard of many instances when the wisdom bodies of these masters gave their blessings whether in dreams or actuality and helped the practitioner to overcome all obstacles. Really, with great faith, no time and distance matters because in the dharmadhatu and nature of reality, locality and time does not truly exist. It is possible to receive the blessings across infinite time and space. So have faith and pray. 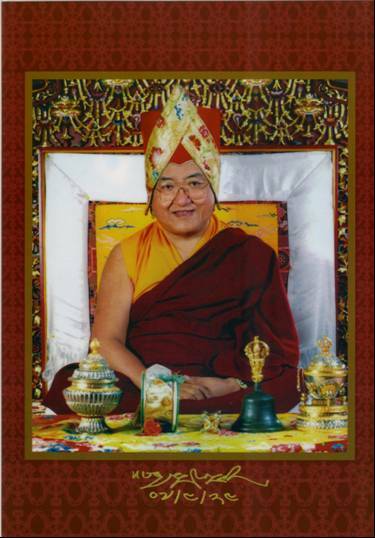 Anyone who supplicates Mipham Rinpoche will temporarily attain the Seven qualities of Gods and Men (ie, noble birth, well-proportioned noble looks, long life, good health, good auspicious karmic connections, great wealth and influence, great wisdom), and have mastery over the peaceful, increasing, magnetizing and wrathful activities. Finally,all those who supplicate him will attain the four kayas and five primordial wisdoms. This biography has been compiled or copied from a number of sources, including Dudjom Rinpoche’s authoritative text, The Nyingma School of Tibetan Buddhism. Some of our sources have come from oral accounts handed down by various Lamas who knew Mipham personally. At the age of fifteen, he came across an ancient text of the Svarodaya that deeply inspired him. In consequence, he went on a retreat, meditating on Manjushri, the Bodhisattva of Wisdom, for over a year, at the hermitage of Ju-nyung. In conjunction with his meditations, while in retreat, he effected certain alchemical operations for the production of a “pill” (ril-bu’I las-sbyor), with the result that he succeeded in awakening certain of his dormant psychic faculties. After that, it is said that he was able to master any subject of study with the least possible effort. From that point on he demonstrated not only a phenomenal memory, but the exceptional ability to comprehend any book placed before him, merely by flipping through its content at high speed. At the age of eighteen he went on a pilgrimage to central Tibet and visited all the holy places of Padmasambhava. From about this time he acquired renown amongst his peers as a mathematical (sa-ris) prodigy—someone who, when presented with even the most difficult of numerical equations, was capable of giving correct answers almost instantly. Thanks to his maternal uncle’s support, he attended the monastic college of Ganden for a month of intense learning. Following that, he travelled to several devotional places in the region of Lhodrak Karchur, where his spiritual sensitivity was brought to an extreme pitch. At one point, while caught up in an act of devotion, he was so carried away that all ordinary appearances dissolved completely and he found himself absorbed into the supreme vajrapamo-samadhi of bliss and emptiness. This is said to be the moment that initial enlightenment dawned for him. He also came to the intuitive realization of himself as White Manjusri. These facts, however, he kept secret and, out of pure humility, did not reveal during his lifetime, except to a few of his most intimate disciples. On his return to eastern Tibet he further received the transmission and empowerment of White Manjusri according to the tradition of Mati from Jamyang Khyentse Wangpo. Through this ritual the inner experiences acquired during his meditation and devotions in Lhodrak Karchur were crystallized in a concrete manner and the lotus of his heart became permanently open. On this occasion, Jamyang Khyentse Rinpoche made four declarations, proclaiming who Mipham Rinpoche was and prophesizing what would happen. The first was that Mipham Rinpoche’s realization was equal to that of the future Buddha Maitreya. The second was that his knowledge and wisdom was not different from that of Manjushri, who knows everything. The third was that his capability in reason, logic, debate, and philosophy was beyond compare, like that of the great logician and philosopher Dharmakirti. The fourth was that his fame would spread around the world, and that he would become universally recognized. Khyentse Rinpoche then commanded Mipham, who he viewed as his spiritual son, to use his talents to compose textbooks outlining the complete corpus of the Nyingmapa teachings handed down over the ages, and he presented him with a red Pandita hat. On one occasion Japa Do-nga, one of the most learned scholars of the Gelugpa order, expressed the opinion that certain of Mipham’s statements in his Commentary on the Wisdom—chapter of Santideva’s Bodhicaryavatara were fundamentally incorrect. This resulted in a number of great and heated debates, the theme of which became the subject of much controversy throughout Tibet. Although the points of controversy still reverberate in those hallowed places where Tibet’s greatest scholars gather to discuss technical matters of Dharma, during present times, it has now generally been conceded, that Mipham’s position was after all the correct one, while Japa Do-nga’s view was mistaken. Having completed his task of summarizing the whole Nyingma tradition in textbook format, Mipham betook himself to the mountain marked by the sign of Dza, and there in the “Tiger Cave” of Karmo, he practiced meditation. During that time he accomplished the yogas of the Creation-process and through means of the Completion-stage, purified the pulses of all the active energy currents of his maya-body in the direct experience of uncreate Clear Light. Most of all, by means of the technique of Cut-through (thek-chod) and Leap-over into Spontanteous Presence (lhun-grub thod-rgal), as taught in the Nyingma system of Dzogchen, he saw in visionary memory the kaleidoscope of all his previous lives, and fully attained complete absolute Buddhahood, without anything left out. Mipham Namgyal possessed an experimental mind, and while in retreat, he also tested out what powers are available in the human being for psychic development. One day his faithful attendant Lama Osel asked his teacher, “What are some of the results of your time in this retreat.” Mipham Namgyal, smiling impishly, then raised his ritual phurba (“magic dagger”), empowered through months of Vajrakilaya practice2, and pointed it at the neighboring, snow covered mountain on the opposite side of the valley. Lama Osel, in his written report, said that at the exact moment of Mipham Namgyal doing this, in response a massive avalanche was let loose on the mountain towards which Mipham was pointing. This has been considered one example of the enormous occult powers mastered by Mipham. Evidently he also told his attendant Lama Osel certain prophecies. Although at that time in history the Tibetan people were far more frightened of the British, who in 1904 had once already invaded their country, Mipham told his disciples that their real concern should be with China. He told Lama Osel, “In the future, I am the one destined to be the Rigden King of Shambhala, known as the Wrathful One with Iron Wheel; the one who will conquer the great army of the Mlecchas in the final battle of the world, before the coming of the future saviour Maitreya. This you will see.”4 He also informed Osel that they would be together again, in future lifetimes. Mipham’s works have become the foundation of study not just for the Nyingma lineage, but also for Kagyü practitioners the world over, as well as for others. As predicted, Mipham’s renown has spread throughout the world, and his name is becoming known in the academies and universities of the West. But Mipham Namgyal’s greatest achievement was not his scholarly work. Rather, it was the years he spent as a yogi alone in the wilderness. This is something intangible, which cannot be counted in terms of the books and texts for which he is remembered. The real Mipham, the yogi-saint whose exploits remained hidden from public view, the fully Enlightened One known as Mipham Jamyang Gyamtso Namgyal, is remembered as the beloved father of the mountain ascetics who are free of activity, having, as Dudjom Rinpoche says, “abandoned the cares of this life.” Mangalam. 2. Khenchen Jigme Phuntsok’s account of the life of Mipham says that, instead of raising his phurba (“magic dagger”), Mipham held up the symbolic dice of Vajrabhairava. He also states that it was Sogyal Rinpoche, rather than Lama Osel, who prompted the master at this time. Perhaps the two accounts relate to different events, although the avalanche would appear to refer to a single event? There are two traditions of practice: one is the practice of Vajrakilaya and the other the practice of Vajrabhairava, which in many ways parallel each other. Both sets of practice confer extra-ordinary psychic powers, as suggested in the story about Mipham letting loose an avalanche. The practitioners of these two traditions have been known, in a certain sense, to compete and vie for power with each other. Presumably Jigme Phuntsok Rinpoche identified Mipham with the Vajrabhairava tradition because of Mipham’s association with Manjusri, with which Vajrabhairava appears as the fierce manifestation. Others, however, state that Mipham developed himself through Vajrakilaya practice, which is, as it were, a wrathful aspect of white Vajrasattva. Both reports may be equally valid; however, Lama Sonam Tobgyal Rinpoche stated on good authority that Mipham Namgyal certainly was an adept in the practice of Vajrakilaya, and that it was a “phurba” which he held in his hand when causing the landslide on Mt. Dza. The latter explanation also appears in tune with other aspects of Mipham’s own writings, not to mention his identification with Sanggye Yeshe and Tsa-sum Lingpa, both great adepts of Vajrakilaya. 3. This was composed in the form of a highly esoteric Kalacakra (“wheel of time”) transmission, that Khenpo Kunpal later imparted to a number of select practitioner’s at Ge-gong Temple in Dza-chu-ka. Mipham revealed that in previous lives he had once been the great Iranian emperor Manju-yasas, and later, the Sage-King of Shambhalah named Vijaya (Tib: namgyal), knowledge-holder of the now largely lost secret cosmical doctrines of the Kalacakra. 4. Khenpo Jigme Phuntsok Rinpoche in his account does not identify Mipham with the future Rigden Warlord, but says instead that he is destined to be a great general named “Senge Bumwa” in that Warlord’s army. Although we have stuck to the account as we have heard it, Jigme Phuntsok Rinpoche’s account may be more authentic, since he had much original source material to refer to. There is a Tibetan prophecy that appears to define the late Dudjom Rinpoche as the coming Rigden King, consequently the matter must be left open to individual insight and understanding. There are also Kalacakra prophecies that centre on the person of the great Panchen Lama of Shigatse. The timescale for the final battle predicted in Shambhalah prophecy is also debatable, Ven. Chogyam Trungpa Rinpoche believing that due to the early deaths of previous Dalai Lamas the time had been shortened. On the basis of Mipham’s life and time of death, some claim that the Great War of the world will occur somewhere around 2030 to 2040 AD; certainly before 2060 AD (i.e., less than 150 years from Mipham’s death). In the Shambhalah prophecy, vivid literary descriptions of this apocalyptical battle appear to portray highly mechanized nuclear warfare, resulting in world-wide destruction on an immense scale. The Buddha referred to this as the Age of the Sword, when men would hide in caves deep in the earth to survive. Ju Mipam Gyatso (‘ju mi pham rgya mtsho) was born in 1846 in the Derge (sde dge) region. His father, Gonpo Dargye (mgon po dar rgyas), was a descendent of the Ju (‘ju) clan, which is said to have a divine ancestry. Ju gets its name from “holding” (ju), which is interpreted to mean “holding on to the rope of the luminous deities who descend from the sky.” His mother, named Singchung (sring chung), was also of high status; she was a daughter of a minister in the kingdom of Dege, where Mipam was born. His studies began when he was about six years old and he memorized Ngari Paṇchen Pema Wangyel‘s (mnga’ ris pan chen pad+ma dbang rgyal, 1487-1542) Ascertaining the Three Vows (sdom gsum rnam nges), an important Nyingma text outlining the Buddhist path. When he was only ten, Mipam was said to be “unobstructed in reading and writing,” and began to compose a few short texts. Some traditional Tibetan scholars claim that among his earliest compositions, at the age of seven no less, was his famed Beacon of Certainty (nges shes sgron me) a masterwork of philosophical poetry. This would be an amazing feat and is a testament to the high regard in which Mipam’s scholarship and intellect is held. He became a novice monk when he was twelve, following the local tradition of his homeland. He entered the monastery of Jumohor Sangngak Choling (‘ju mo hor gsang sngags chos gling), which is a branch of the Nyingma monastery of Zhechen (zhe chen) and connected with the lineage of Mindroling (smin grol gling). There he came to be known as “the little scholar-monk.” Early in his life, when he was about fifteen or sixteen, he did a retreat on Mañjuśrī in a hermitage at Junyung (‘ju nyung) for a year and a half. Mipam had a lifelong special connection with Mañjuśrī; it was said that through successfully accomplishing this practice in his youth, he knew the Buddhist scriptures, as well as the arts, without studying. Many of his compositions begin with an invocation to Mañjuśrī, and meditations on various forms of Mañjuśrī, including Yamāntaka, who embodies wisdom’s vigorous activity, were a central part of Mipam’s meditation practice for his entire life. When Mipam was about seventeen, his homeland of Dege was thrown into turmoil, invaded by the forces of Nyakye Amgon Gonpo Namgyel (nyag skyed a mgon mgon po rnam rgyal, 1799-1865), who was then conquering most of Kham. During the fighting, Mipam went to Golok around 1859, accompanied by his uncle. From there he went on a pilgrimage to Lhasa in 1861. On the trip he stayed at a Geluk monastery of Ganden (dga’ ldan) near Lhasa for about a month. Although his stay was not long, his time at this monastery was significant. Here he was exposed to the Geluk tradition of scholarship, which is famous in Tibet for setting the standard of monastic education. He quickly gained fluency in dominant features of the Geluk tradition’s interpretation of Buddhist thought, as well as the procedures of debate. Mipam would later bring formal debate into the Nyingma tradition. His facility for quickly ascertaining the meaning of a text is legendary. For example, it is said that when he received teachings from Bumsar Geshe Ngawang Jungne (‘bum gsar dge bshes ngag dbang ‘byung gnas, d.u.) on Candrakīrti’s Introduction to the Middle Way, he told his teacher that he need not bother with a detailed commentary. He asked him only for the reading transmission of this scripture. Introduction to the Middle Way is a text on the profound view of the Madhyamaka, and like most other Sanskrit verses composed in India more than a thousand years ago, it is exceptionally difficult to understand without commentary. Nevertheless, after hearing the teacher read the text just once, Mipam explained it all from the beginning. The teacher then responded, “Although I have the title of ‘Geshe,’ I don’t have even a fraction of the intellect of this one!” He also received Sakya Paṇḍita Kunga Gyeltsen‘s (sa skya pan di ta kun dga’ rgyal mtshan, 1182-1251) Treasury of Reason from the Sakya scholar, Jamyang Loter Wangpo (‘jam dbyangs blo gter dbang po, 1847-1914) and the “Five Treatises of Maitreya” from Solpon Pema (gsol dpon pad+ma, d.u.). At the beginning of his studies, Mipam is said to have found the texts of the Sarma, or new translations — such as the scriptures belonging to the Sakya, Kagyu, and Geluk traditions — easy to understand, but that the texts of the old translations — his own Nyingma school — were difficult for him. He later attributed this to the fact that he never doubted the profundity of these texts, but that his own faculties were not ready for proper comprehension. Mipam is commonly credited with a nonsectarian outlook, but it is significant that Mipam is reported to have said that he came to discover all the profound points to be found only within the Nyingma tradition. While Mipam showed respect for the different sects in Tibet, he certainly did not gloss over differences, and one can find a strong sense of sectarian identity — Nyingma — in his works. In his early career, Mipam studied the Bodhicaryāvatāra with Dza Patrul Orgyen Jigme Chokyi Wangpo(rdza dpal sprul o rgyan ‘jigs med chos kyi dbang po, 1808-1887). The teaching only took five days, but apparently this was enough for Mipam to fully comprehend the words and meaning of this classic. He later composed an important commentary on the ninth chapter — the Wisdom Chapter — of this Indian classic. Patrul was later asked, “Who is more learned, you or Mipam?” To which he replied that they were about even in sutra, but that Mipam was much better in tantra. Throughout his life, Mipam is said to have read the entire collection of the translated words of the Buddha, in one hundred and eight volumes, seven times. Mipam’s knowledge did not always come without effort. He is reported to have struggled with the Vinaya Sutra, a central text outlining the essentials of Buddhist ethics. Only after he read the entire thirteen volumes of the Vinaya section of the Buddhist canon did he express satisfaction with his understanding. Mipam studied the wide range of Buddhist scriptures with a number of prominent teachers of his day, such as Dzogchen Khenpo Pema Vajra (mkhan po pad+ma badz+ra, c.1807-1884). He considered the Sakya master Jamyang Khyentse Wangpo (‘jam dbyangs mkhyen brtse dbang po, 1820-1892), to be his main teacher. He received instructions on the fundamentals of the Buddhist path, and what are known as the common arts such as grammar, from the famous scholar-practitioner, Jamgon Kongtrul Yonten Gyatso (‘jam mgon kong sprul yon tan rgya mtsho, 1813-1899). Mipam, along with Kongtrul and Jamyang Khyentse, came to be known as “the three Jamgon of Kham”, jamgon being an epithet for a consummate scholar who embodies wisdom. Mipam is said to have served Jamyang Khyentse Wangpo in three ways: with material offerings, with service, and with practice. According to Jikme Puntsok (‘jigs med phun tshogs, 1933-2004), an avid follower of Mipam, Mipam gave his teacher all his belongings seven times. This was his material offering. As for service, he humbly served his teacher like an ordinary attendant, serving food and cleaning up. His offering of practice, the supreme offering a student can give a teacher, was also exceptional given that he spent most of his life in meditation retreat. On one occasion, Jamyang Khyentse Wangpo had Mipam sit on a high throne in front of several volumes of Buddhist scriptures. He presented him with extensive offerings and said, “I entrust these scriptures to you. From now on, uphold these teachings through exposition, debate, and composition. You are to illuminate the Buddha’s teachings in this world for a long time!” His teacher thus empowered him and gave him the name Mipam Jamyang Namgyel Gyatso (mi pham ‘jam dbyangs rnam rgyal rgya mtsho). Later, he is reported to have said that there was no one on earth more learned than Mipam. Mipam’s scholarship dealt with a wide range of topics — logic, poetics, Madhyamaka, medicine, astrology, and tantra, among several others. Following Jamyang Khyentse Wangpo’s request, Mipam wrote commentaries on classic Buddhist texts based on his own Nyingma tradition. He stated that he was motivated by the feeling that most of the Nyingma followers were merely imitating the scholars of other traditions. He felt that the teachings of his Nyingma tradition were on the verge of becoming “like a painted butter lamp”—an artifact without much power. Further, he worried that that few people even wonder about the philosophy of the Nyingma, much less ask about it. For these reasons, he composed texts in order to elucidate the Nyingma view. A significant moment in Mipam’s life came when he was in a debate with the Geluk lama Japa Dongak (‘ja pa mdo sngags, d.u. ), with Patrul Rinpoche was acting as moderator. Mipam and his opponent debated about the famously difficult Wisdom Chapter of Bodhicaryāvatāra. When the debate between the two appeared to be even, someone asked Patrul Rinpoche who was winning. Since Mipam was his student, he said, “A son is not praised by his father, but by his enemy; a daughter is not praised by her mother, but by the community!” He then suggested that they turn to a topic concerning Dzogchen, the highest Nyingma view and practice, upon which Mipam’s opponent had written a commentary. It is during the section on this topic that Mipam won the debate, as declared by the moderator, observers, and acknowledged by the participants. It is significant that Mipam won the debate on Dzogchen, as it testifies to his skill in engaging the Dzogchen view within a rational, dialectical exchange. Mipam was adamant that Dzogchen is not naive anti-intellectualism, as its detractors have claimed, but involves a subtly profound view that, at least in Mipam’s presentation, both incorporates reason and transcends it. Indeed, central to Mipam’s writing is the prominent place of reasoned inquiry as a means to arrive at the view of Dzogchen, and the interplay of reason and the transcendence of reason. In addition to his extensive activity in composing commentaries, Mipam spent much of his life in retreat. According to colophons of his works, most were composed during breaks from his practice, suggesting that while not writing he was in retreat. He spent thirteen years in meditation retreat in a cave named Rongme Chime Karmo Taktsang (rong me ‘chi med dkar mo stag tshang) near the Jamyang Khyentse Wangpo’s monastery, Dzongsar (rdzong sar), most likely during the 1870s and 1880s. As recorded in his biography, when Mipam came out of a retreat, Jamyang Khyentse Wangpo asked him how his practice had gone. Mipam responded that when he studied, he tried to see if he could reach the completion of analysis, and when he practiced the generation stage of visualizing the deity, he did so with great diligence to see if he could perfect that practice, too. His teacher replied, “This is difficult. Longchenpa said to rest naturally without doing anything. By doing so, I never saw any natural face of mind with a white complexion and rosy cheeks, but if I were to die right now, I would not have the slightest fear. Ha!” He laughed and Mipam took this to be a practical instruction from his teacher. His main students included the Fifth Zhechen Rabjam, Pema Tekchok Tenpai Gyeltsen (rab ‘byams 05 pad+ma theg mchog bstan pa’i rgyal mtshan, 1869-1909); Katok Situ Chokyi Gyatso (kaH thog si tu chos kyi rgya mtsho, 1880-c.1923); Terton Sogyel Lerab Lingpa (gter ston bsod rgyal las rab gling pa, 1856-1926); the Third Dodrubchen, Jigme Tenpai Nyima (rdo grub chen 03 ‘jigs med bstan pa’i nyi ma, 1865-1926); the Fifth Dzogchen Drubwang, Tubten Chokyi Dorje (rdzogs chen grub dbang 05 thub bstan chos kyi rdo rje, 187201935); the First Adzom Drukpa, Drodul Pawo Dorje (a ‘dzom ‘brug pa ‘gro ‘dul dpa’ bo rdo rje, 1842-1924) and many others. He is also said to have met and blessed Dilgo Khyentse Tashi Peljor (dil mgo mkhyen brtse bkra shis dpal ‘byor, 1910-1991) as a young boy. Among prominent Tibetan Buddhist leaders, Mipam is a unique figure in that he was not regarded as an incarnate lama, or tulku (sprul sku), at least not while he was alive. Also, unlike many other important figures of his day, he did not actively promote the new traditions of treasure (gter ma). While the revelations of such texts gained widespread popularity in Tibet, particularly in the Nyingma tradition, he neither discovered treasure texts publicly nor wrote extensive commentaries on them. Rather, he focused his work on elucidating the teachings that were directly transmitted to Tibet from India. Mipam is also reported to have said that he would not take birth again in impure realms, a fairly uncommon refusal to participate in the Tibetan institution of identifying reincarnations of prominent teachers. Nevertheless, following his death, a disciple claimed that Mipam admitted that he was, in fact, an emanation of a bodhisattva. And despite his declaration that he would not take rebirth, several children were identified as his reincarnation. Jamyang Sherab Gyeltsen (‘jam dbyangs shes rab rgyal mtshan, b. 1930), a grandnephew of Mipam Gyatso, was recognized as his reincarnation, and was given the title Zhechen Mipam (zhe chen mi pham). A prince of Derge, Tsewang Dudul (tshe dbang bdud ‘dul, 1915/16-42), was also recognized as a reincarnation of Mipam. 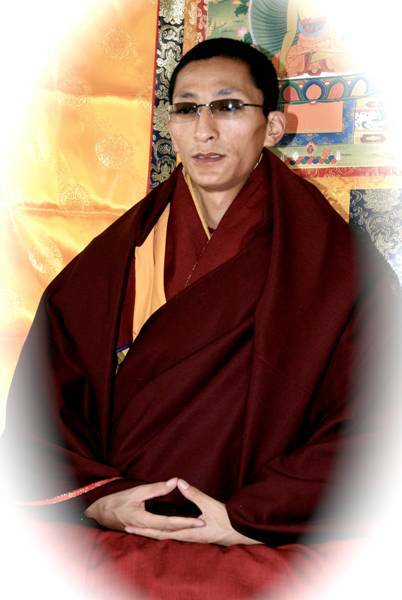 His reincarnation, identified by a Tengye Rinpoche in 1959, is known as the Third Ju Mipam. He is the father of one of the current claimants to the title of Seventeenth Karmapa, Taye Dorje (mtha’ yas rdo rje, b. 1983). The third child, given the title Khyungpo Mipam (khyung po mi ‘pham), was recognized by Jamyang Khyentse Chokyi Lodro (‘jam dbyangs mkhyen brtse chos kyi blo gros, 1893-1959). In 1995 a son of the Eleventh Zurmang Trungpa, Chokyi Gyatso (zur mang drung pa 11 chos kyi rgya mtsho, 1939-1987), Osel Rangdrol Mukpo, was identified as yet another incarnation of Mipam Gyatso by the Third Penor, Lekshe Chokyi Drayang (pad nor 03 legs bshad chos kyi sgra dbyangs, 1932-2009). Mipam Gyatso passed away in 1912 at his hermitage at Ju, to the north of Dzogchen Monastery. Bstan ‘dzin lung rtogs nyi ma. 2004. Snga ‘gyur rdzogs chen chos ’byung chen mo. Beijing: Krong go’i bod rigs dpe skrung khang, pp. 425-439. TBRC W27401. Goodman, Steven D. 1981. “Mi-pham rgya-mtsho: An Account of His Life, the Printing of His Works, and the Structure of His Treatise Entitled mKhas-pa’i tshul la ‘jug-pa’i sgo.” In Wind Horse: Proceedings of the North American Tibetological Society, edited by Ronald M. Davidson, 58-78. Berkeley: Asian Humanities Press. Grags pa ‘byung gnas and Rgyal ba blo bzang mkhas grub. 1992. Gangs can mkhas grub rim byon mingmdzod. Lanzhou: Kan su’u mi rigs dpe skrun khang, pp. 651-653. TBRC W19801. Ku byug. 2004. Bod kyi dbu ma’i lta ba’i ‘chad nyan dar tshul blo gsal mig ‘byed. Beijing: China’s Tibetan Studies Press. Mi nyag mgon po, et. al. 1996-2000. ‘Ju mi pham ‘jam dbyangs rnam rgyal rgya mtsho’i rnam thar mdor bsdus. In Gangs can mkhas dbang rim byon gyi rnam thar mdor bsdus, vol. 1, pp. 742-744. Beijing: Krung go’i bod rig pa dpe skrun khang. TBRC W25268. Nor brang o rgyan. 2006. ‘Ju mi pham ‘jam dbyangs rnam rgyal rgya mtsho. In Gsung rtsom / nor brang o rgyan, pp. 744-753. Beijing: Krung go’i bod rig pa dpe skrun khang. TBRC W1GS66291. Pettit, John. 1999. Mipham’s Beacon of Certainty. Boston: Wisdom Publications, 1999. Phuntsho, Karma. 2005 Mipham’s Dialectics and the Debates on Emptiness. London: RoutledgeCurzon. Phuntsho, Karma. 2007. “’Ju Mi pham rNam rgyal rGya mtsho – His Position in the Tibetan Religious Hierarchy and a Synoptic Survey of His Contributions,” in The Pandita and the Siddha: Studies in Honour of E. Gene Smith. Edited by Ramon N. Prats. Dharamshala: Amnye Machen Institute. Sa manta bhadra dharma kirti. 1987. Gangs ri’i khrod kyi smra ba’i seng ge gcig po ‘jam dgon mi pham rgya mtsho’i rnam thar snying po bsdus pa dang gsung rab kyi dkar chag snga ‘gyur bstan pa’i mdzes rgyan. In Collected Works, vol. 8 (hung), 621-732. Kathmandu: Zhechen Monastery. It is with very great pleasure that I post this Bodhisattva Vow Ceremony. I have checked the translation to the best of my ability and it is accurate as far as I can tell within the limits of reasonable translation. It is best to recite it in Tibetan to reflect its original meaning as far as possible, while contemplating its English interpretation. It is best for anyone who has taken the Bodhisattva vows to recite this Ceremony everyday in front of a support like Buddha statue, text or stupa etc. Or if not, just by visualising Buddha Shakyamuni and countless Buddhas and Bodhisattvas in the space in front of you and taking this vow. Retaking the vow constantly will increase one’s commitment towards Bodhichitta, restore the vow from any violations or downfalls, and receive the blessings of Buddhas and Bodhisattvas for continual progress on the path. You can recite the Ceremony after reciting the seven-branch prayers whether in the short form or in the longer form from the Samantabhadra Aspiration Prayer (in the Avatamsaka sutra) which I will post up here shortly too. Please turn your attention towards me! As well as their assemblies, similarly I go for refuge! (have) progressively abided according to them. I shall learn and train in them progressively. This human birth has been well obtained. Today I am born into the lineage of the Buddhas. I have become a son of the Buddha (Bodhisattva). undertake activities in harmony with my lineage. I would not act so that (this lineage) becomes stained. that I have generated the awakening mind of Bodhichitta. may all activities of Mara be abandoned. accomplish their wishes to benefit beings. may all sentient beings also receive them. May all sentient beings have happiness and joy. May all the lower realms be permanently emptied. May all their aspiration prayers be accomplished. This entry was posted on 11111111, in Practices, Uncategorized and tagged bodhisattva, ceremony, vow. My only thought is of my Lama. Oneness with his Buddha mind. The sublime freedom of nonaction. In the wisdom of Dharmakaya, naked reality. All the intentions of the Buddhas are perfectly fulfilled. Like Buddha in the palm of your hand. Firstly, knowing that thoughts arise, being led by the thoughts and pursuing it. This is a waste of time in meditation and is no different from ordinary people who do not practise meditation. The only difference is that people who do not meditate are unable to see their own thoughts arising. Day by day, following one thought after another all over the place, having all kinds of hopes and wishes, if one is not recalling the past, then one is planning for the future, this continuous stream of thinking is samsara. Secondly, being afraid of thoughts. Treating it like an enemy, one tries to eliminate all thoughts. This is like the cat catching the mouse. When thought arises, one sees it and the thought very quickly dissolves by itself. Resting in this gap of clarity and non-thought, one regards this as liberation. Being attached to this clear, thought-free state of purity, when one departs from this pure state and gives rise to various thoughts, one becomes fearful and feels that one has been debased or that one’s practice has deterioriated. Actually, whether one is able to see the arising or ceasing of thoughts or not, the thought will dissolve by itself as this is the nature of thoughts. Due to not having the recognition of the nature of thoughts, one does not possess the wisdom of liberation and still remains in ignorance, being unable to uproot the flow of confused consciousness, therefore there is no ultimate liberation. Thirdly, many people believe that since samsara is of such great suffering, we should try to leave it behind and try to obtain nirvana. They imagine that after practising, one day will come when they see nirvana or emptiness and at that time, they will feel, ‘Now, I have attained realisation and have been liberated.” In this way, they pursue and hope for some kind of appearance or phenomenon. Thus, in their meditation, they will always have a sense of waiting and expectation, hoping that maybe after all my thoughts have completely died down, an unfathomable state of emptiness will appear, then I will attain realisation. They feel that, as long as I continue to strive, there will be some kind of such and such state that will appear and at that time I will generate the unimaginable qualities of various Buddhas… these people are always pursuing some kind of meditative state and waiting for some state to appear. In general, people who are in the first or third situations will be very tense in their meditation and have very strong attachments. It is easy for them to have symptoms like swelling or pain at the crown, chest pains, numbness in their hands or legs etc. At this time, if one is not able to make adjustments and corrections, it is very easy to go into deviations. Fourthly, some meditators like sitting very much, therefore they sit for an inordinately long period of time, but due to the lack of guidance from a realised being, they rest in a clear and thought-free state for a long period of time, feeling that I am without thoughts and pure. They think that their meditative prowess is outstanding and other people may even praise them, leading them to cling even more to their meditation. Meditating in this way for a long time, one can attain a state where the breath and even heart-beat or pulse completely stops. At this point, several situations can occur: one is that the person will become more and more inert and passive, gradually losing their ability to discriminate, becoming more and more stupid and ignorant. This type of practitioner is likely to take rebirth in the animal realm as one of those animals who hibernate. The other situation occurs to a smaller proportion of people, they will develop attachment to states of emptiness, bliss and clarity arising in their meditation and thus take rebirth in the heavens. An ordinary individual will take rebirth in the desire realm due to attachment to his gross thoughts while a meditator who clings to his experiences of clarity in meditation will take rebirth in the form realm heavens. One who clings to his experiences of emptiness in meditation will take rebirth in the formless realm heavens. These attachments that arise in one’s meditation are generally quite difficult to correct and remove. Telling all of you this part of my experience in training is for you to understand that during the process of meditation, there is a definite need for personal guidance from a qualified teacher who has experience in meditation and realisation. Without a qualified teacher pointing out the way, it is almost impossible not to be deviated from the proper path. It is like someone who is blindfolded walking towards a target. To him, he feels that he has not strayed from the path and that he is walking on the correct road. However, any witnessing party can clearly see just how ridiculously off the target he is. This is because the clinging to a meditative experience is almost always not obvious to oneself. Only after one has transcended that attachment, can one realise that one has been grasping to it. Besides, even if one knows that one is clinging to a certain meditative experience, it is very difficult for one to drop that attachment. Frequently, it is when one is having a good feeling that one is most attached. Sentient beings are obscured and confused by ignorance, if they are not attached to the previous thought then they are attached to the next thought, or else they are clinging to the clarity, non-thought and purity of the gap in between. If not clinging to existence, then clinging to emptiness. If not grasping at external appearance then grasping at liberation. As long as ignorance and confusion is not cut through, the wisdom of the vipassana or ‘superior seeing’ will not arise in a stable manner, then attachment can’t be completely released. Thus the Lineage Master Longchen Rabjam said, “Many meditators are born in the animal realms.” This is truly a very pitiable matter. The above-mentioned problems arise because a meditator does not rely on an experienced and qualified teacher. Another reason is that one does not proceed according to the graduated steps of the lineage and practising accordingly. Therefore, those who practise meditation should not just rely on books, or one’s own understanding, combined with just a little past experience in meditation and believe that one has an uncommon view and understanding. One should rely on a pure lineage and practise in a systematic fashion under the personal guidance of a qualified teacher. This way of training in meditation which accords with principles and teachings is the safest and swiftest. I bow to the Protector of the world. Everyone in the three world praises and celebrate the Lama. One who wishes to attain buddhahood praises the lord who delivers such accomplisment. I bow to the supreme protector of the three world. You are crowned by Buddha Amitabha. Your left hand hold a golden lotus. Your sweetly scented red and yellow hair sparkles like necklaces. The expanse of your face is lovely as full moon. Like the sublimely supreme lotus, your eyes are beautifully wide. Your sweet-smelling form is like a snow-white conch shell. And radiate stunning beams of light, red as dawn. Your body is like a lake; from it, hands, like lotuses are perfectly arranged. They are youthful and like autumn clouds, white and bright and clear. Both shoulders are adorned with many precious jewels. Your youthful palms are soft like the most supreme leaves. Your left breast is covered with a tenasera skin. Precious earrings and other ornaments gracefully adorn you. You dwell up on a supreme and unblemished lotus. Your navel’s surface is as soft as lotus petal. Your belt is of the finest jewel-encrusted gold. Your lower robe wraps your hips in the noblest cloth. Gone to the other shore of the great ocean, you have supreme knowledge and capability. You, who properly gathered so much virtue, received the supreme state of being. Dispeller of the misery of old age and illness, you are the permanent source of joy. You act to liberate beings from the three lower realms, and show and perform equally for space dwellers. Supreme among beings, you are victorious in battle over hosts of demons. And you create the four silences, which are the cause of Brahmahood. You walk with the grace of a swan and the dignity of an elephant. You liberate from the ocean of milk and the ocean of water. In this world and the world beyond, all their purposes will be accomplished. please bless that omniscient wisdom is realised. This entry was posted on 11111111, in Mani mantra, Practices and tagged avalokiteshvara, chenrezig, dharani, gelongma, nyungne, palmo, po homage prayer, praise.